Our qualified head advisor meets new client to understand their financial situation thoroughly and provide financial services guide. After gathering your information and circumstances, Adviser make comparison & provide custom quotes to let you move in direction you want. Experts analyze your complete details and prepare recommendations best suits your needs. Adviser presents you a statement of recommended policies and expected costs. Once you get agree to take financial plan after clearing all doubts. 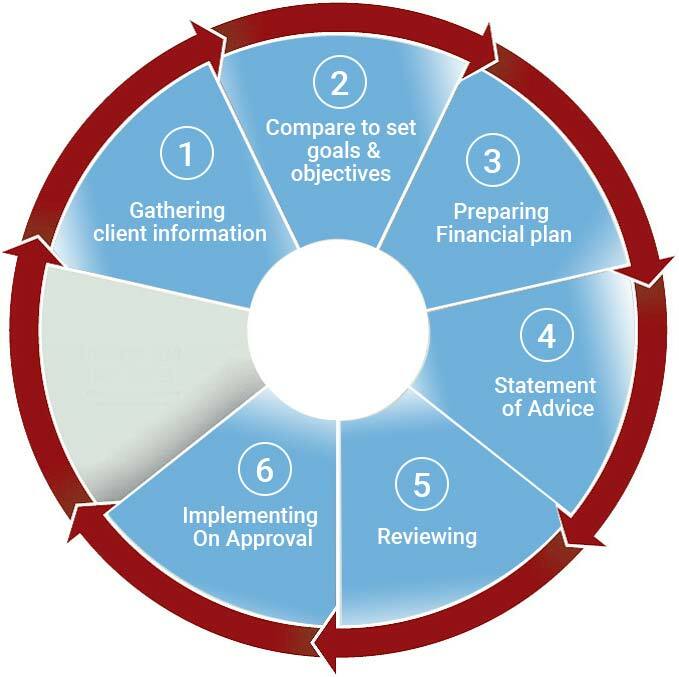 Financial Planner guide your further step to put plan into action. Final decision will be yours whether or not to apply. Why & When you need financial planning advice? Put you in control of your financial future. Planners show you real picture of future risks and plan insurance accordingly. It gives you complete idea of total costs associated with insurance. Provide you right guidelines to let you move on to right direction. Make your decision easy if you don’t have any knowledge about insurance policies. Financial planning advice brings peace of mind. Let you make sure that you leave something for your children or grandchildren. Make your own financial plan as per priorities. Reviewing and revise your complete financial data to avoid any inconvenience during planning process.